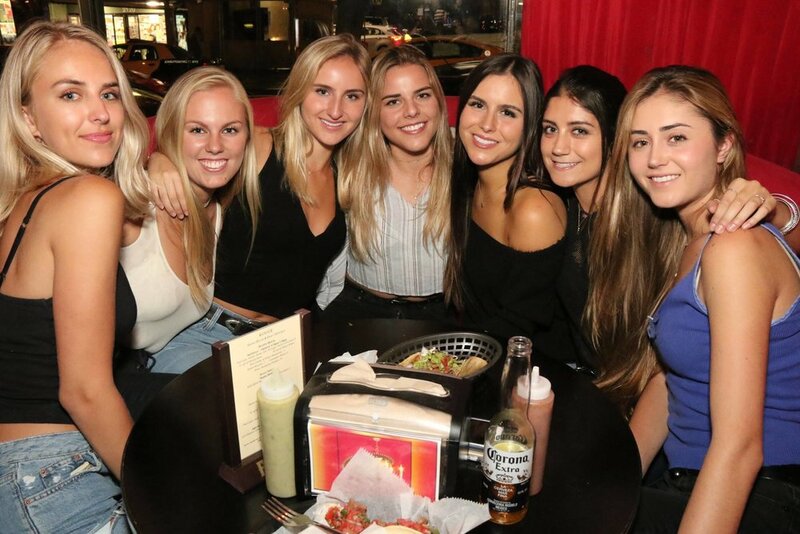 During the initial time frame, both tacos and drinks are served. During the time in italics, our kitchen is closed - only drinks are served. When would you like to reserve the venue? • Platters can be ordered and picked up with 24 hour notice for groups of 50 or less and 48 hour notice for groups over 50. • On average, a catered meal runs approximately $15 per person and includes chips salsa guacamole, salad, assorted tacos, burritos, and quesadillas. • Please keep in mind that our platters are best when consumed within 1 hour of pick-up time. • Cash, Check or Levelup due on delivery. • Salsa verde and salsa rojo included with all catering orders. 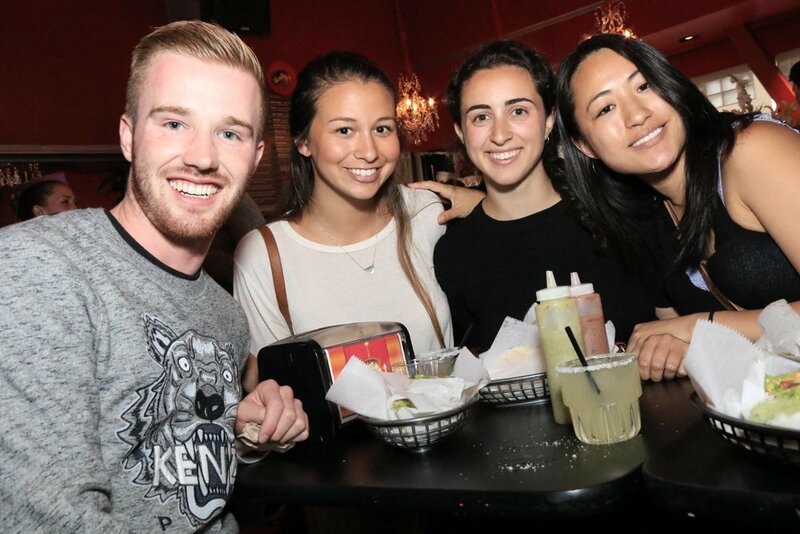 Nick’s Crispy Tacos and Rouge Lounge have catered events for companies such as ILM, Lucas Films, CPMC (Sutter Health), Trulia, The Hamlin School, Comcast, Farallon Capital, Levi Strauss, Google, Wells Fargo Bank, USF, Stanford University, Dartmouth, UC Berkeley, Auburn Alumni, UCSF, and UOP to name a few. 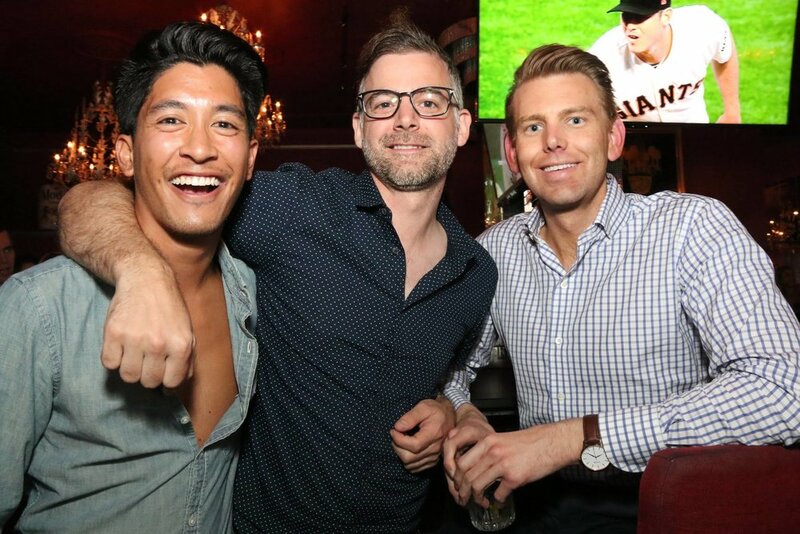 We have also served various SF Giants players and their families, Chris Isaak, Will Smith and his family, David Chu City Council, and have hosted many wedding parties and rehearsal dinners. We’ll work with you to make sure your party or event is memorable.